Breakfast and lunch were not that exciting today--greek yogurt with honey plus Fruit and Nut Granola for breakfast, then leftover Beef, Tomato, and Sweet Potato Stew and Quinoa Tabbouleh for lunch after my second CrossFit workout. I had some more of that homemade applesauce for a snack. But dinner was the main event! 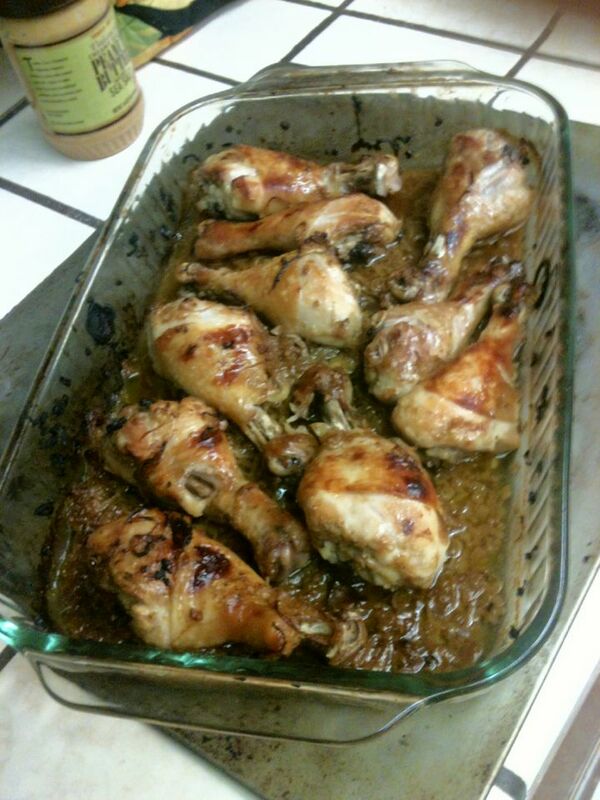 First, I had marinated Damn Fine Chicken Wednesday night, which I've been excited to try. And wow, it totally lived up to expectations! I am so excited to eat more for lunch tomorrow. 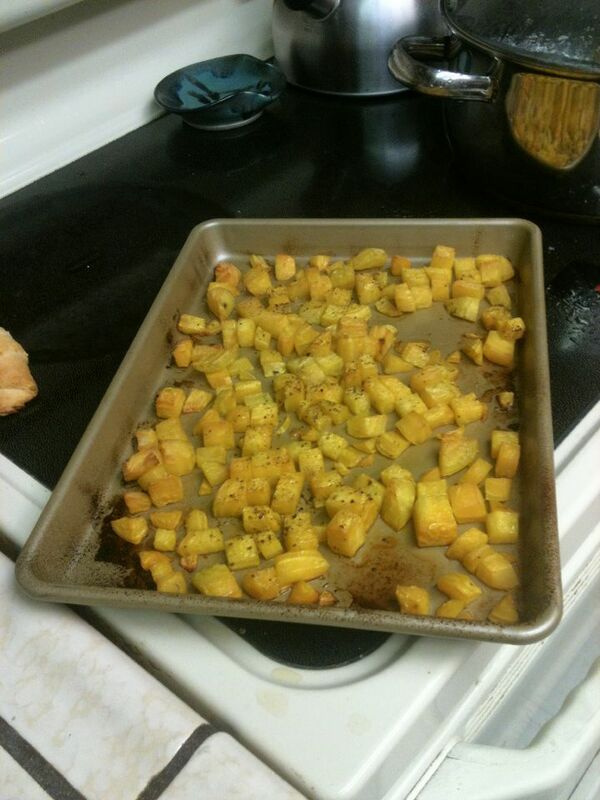 Next I made Oven Roasted Golden Beets--my first time cooking beets, which the kid's day care says she loves. 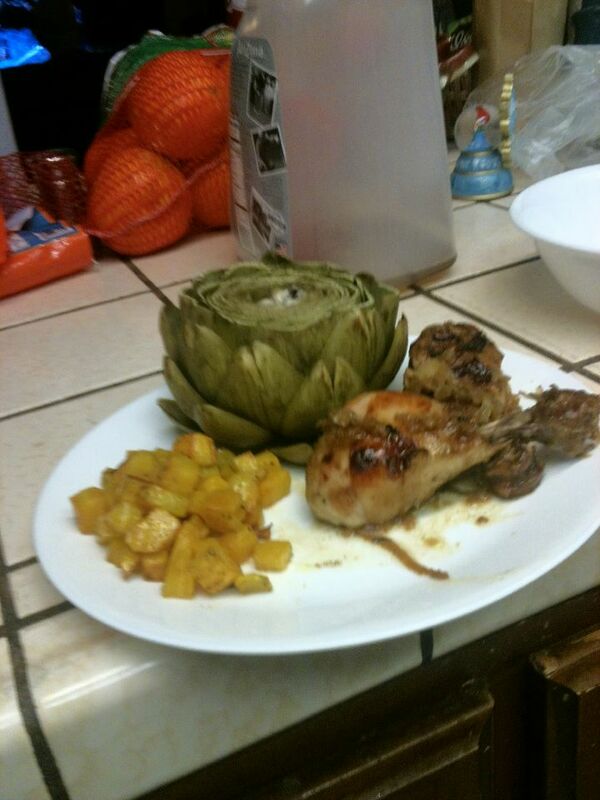 Then I added steamed artichokes (I really can't get enough of them!). It made a really colorful plate with the chicken and beets, and of course I finally remembered to take pictures of everything so the blog is prettier!